Introduced in the early 2000's, the ACU (Army Combat Uniform) is current United States Army forces battle uniform, consisting of combat shirt and cargo trousers, and the successor to both the classic Battle Dress Uniform (BDU) and Desert Camouflage Uniform (DCU). 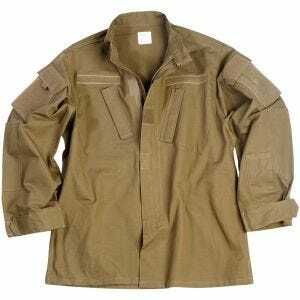 Featuring a number of significant design changes, ACU shirts and combat trousers have all the features that distinguish Army Combat Uniform from its predecessors. The shirt goes with a Mandarin collar and zippered front closure covered with Velcro flap, tilted chest and sleeve pockets, Velcro adjustable cuffs, elbow pads pockets, a 3-slot pen pocket on the left arm and Velcro plates to attach name tapes, rank insignia, morale patches and tabs. 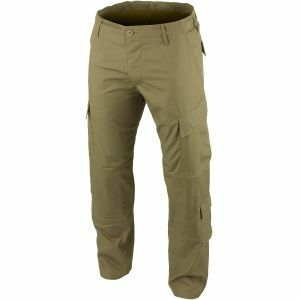 ACU trousers come with two thigh pockets, tilted forward for easy access and with elastic drawstring and Velcro closure for secure carry when on the move, two calf pockets (one on each leg) with a Velcro closure, as well as Velcro pouches designed for knee pad inserts. All those characteristics are present in Teesar combat shirt and cargo trousers, now available at the Military 1st tactical online store. Moreover classic coyote colour offers great cover up in various desert and arid environments.